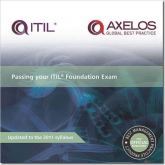 Your official ITIL books at the best possible price! The Best Practice Bookstore can cater for all of your ITIL book requirements. 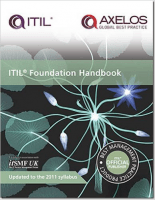 Now updated in line with the 2011 syllabus and endorsed by APM Group, the official ITIL Accreditor, the 'ITIL Foundation Handbook: Pocketbook from the Official Publisher of ITIL' is a quick-reference revision guide designed to help students prepare for their foundation exam. 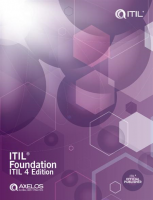 Endorsed by the Official ITIL Accreditor and updated in line with the 2011 syllabus, the bestselling study aid 'Passing your ITIL Foundation Exam - 2011 Edition' is the ideal companion for students preparing for their ITIL Foundation Exam. The ultimate ITIL resource. A graphical, ‘at a glance’ map showing the practical links between Service Delivery and Service Support processes. Why are the ITIL books so cheap? The Best Practice Bookstore is part of the ILX Group. Because ILX Group specialises in ITIL training the book store offers fantastic cost savings on all ITIL and other Global Best Practice books and resources.